Ott Defoe is a check-cashing machine. He’s a former Rookie of the Year on the BASS Elite Series. He’s a two-time winner on the minors-level. But up until this weekend, he’d never held a big trophy. 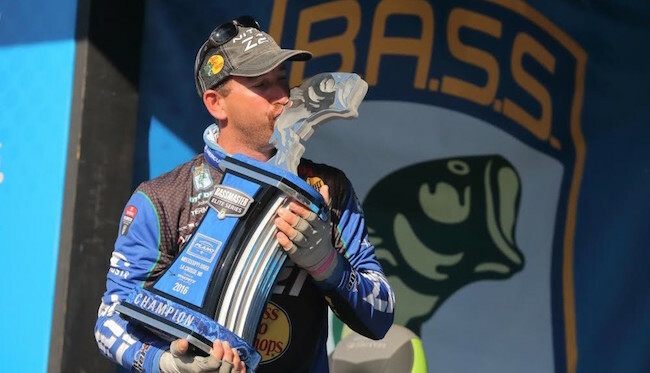 That changed up in LaCrosse, Wis., as Defoe held on to his lead – thanks to some help from fellow competitor Gerald Swindle – to win the Elite Series event on the Mississippi River. Before we get into the rankings, we wanted to commend Swindle on his act of sportsmanship. The Angler of the Year leader caught a limit in Minnesota and was switching spots on the final morning when he saw DeFoe fishing in a random area and without a fish. Since Swindle couldn’t go back to the Minnesota area due to a no-cull rule in the state, he told Defoe a couple places he could catch a couple fish to break the ice. DeFoe did so, calming his nerves and helping him win the event later. OK, now back to the rankings, where Defoe is back where he normally is – in the top 20. Really, Defoe always seems to be somewhere between the top five and 30, and he’s now ranked 19th after his big victory. As for Swindle, he was well outside the top 50 when the season started, but his remarkable season has him all the way up to 21st. Want another noteworthy happening from this tournament? Look at the top five. The top four places had all been held by FLW Tour pros, but not anymore. Jordan Lee and Keith Combs both jumped Scott Martin, John Cox and Bryan Thrift after this weekend, with Lee sitting at No. 2 and Combs at No. 3, respectively. Combs was in the same boat as Defoe for years until he finally broke through with a big win a few years ago, and Lee will probably follow suit in the near future. It did get a little muddy for some anglers on the Mississippi, though. Brent Ehrler slipped eight places to 30th, and after his second win of the season, Kevin VanDam has not had two awful tournaments in a row. He’s back outside the top 50, sitting in 59th. Side note: Randall Tharp made yet another top 20 over the weekend. No surprise there, but it also has him now ranked as the No. 1 angler over the last year.